At Apple's education event in Chicago on Tuesday, augmented reality stood at the head of the class among the tech giant's new offerings for the classroom. The company showcased a number of ARKit-enabled apps that promise to make learning more immersive. For example, the AR mode for Froggipedia, expected to launch on March 30 for $3.99 on the App Store, will allow students to view and dissect a virtual frog's anatomy. And a new update to the GeoGebra app brings ARKit support to math lessons. Apple is hoping to facilitate a lot of this AR learning through a new 9.7-inch iPad priced at $329. The new iPads will also include support for multiple accounts, allowing schools to share the devices among students. "iPad is our vision for the future of computing and hundreds of millions of people around the world use it every day at work, in school and for play," said Greg Joswiak, Apple's vice president of product marketing, in a statement. 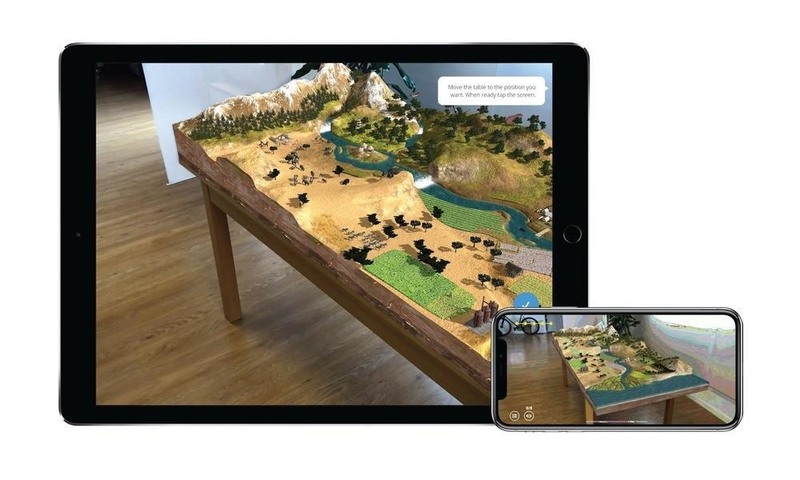 "This iPad also has the power of the A10 Fusion chip, combined with the big, beautiful Retina display, advanced cameras and sensors that enable incredible AR experiences simply not possible on other devices." In recent years, Google has emerged as a dominant player in the education market, where Apple was once ubiquitous. But Chromebooks, with a low-cost subscription model for hardware and software, are too hard to pass up for many school boards strapped for cash. And Google also has its Google Expeditions AR educational product, which began rolling out as a "Pioneer Program" in Fall 2017. Now, with lower-cost iPads and robust applications, Apple is making a strong appeal to educators as it hopes to once again become a fixture of the education landscape. And maybe, in the process, Apple can also foster the early development of a few new AR developers as well.